One of the oldest neighborhoods in the area, charmed with brick-lined sidewalks, shopping and dining options, and a home to the Hoyas! A nationally-designated historic district, Georgetown was founded in 1751, nearly half a century before the District of Columbia, as a bustling port city on the banks of the Potomac. Today Georgetown is a neighborhood with a vibrant business district, an active residential community, and a popular recreational waterfront. It is DC’s premier destination and ‘playground’ for shopping, dining, history, fitness, and family fun. Georgetown offers a variety of more than 450 up-scale and casual shopping, dining and entertainment options in a beautiful, historic setting. 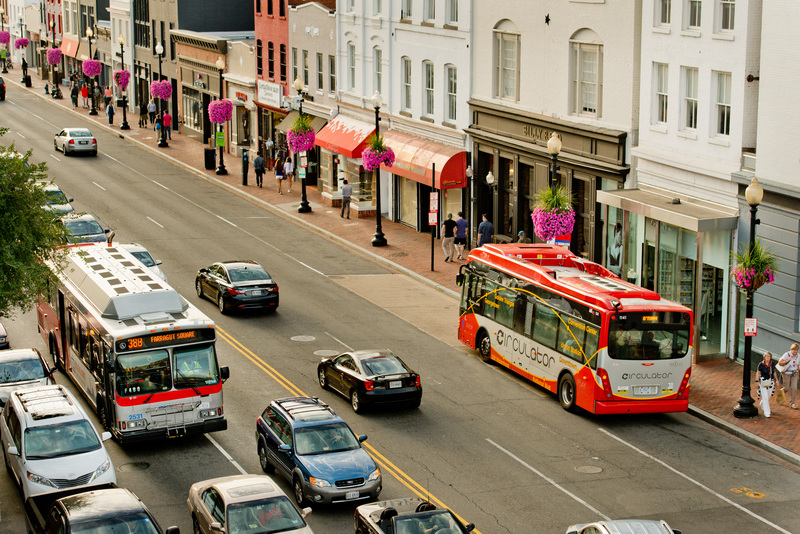 M Street, Georgetown’s main avenue, is recognized as one of the best shopping streets in the country. The intersection of M and Wisconsin Avenue is the heart of Georgetown, extending in all four directions. Known for its quaint cobblestone streets and 18th and 19th century architecture, the neighborhood is a delightful mix of past and present that sets it apart from the rest of Washington, DC.